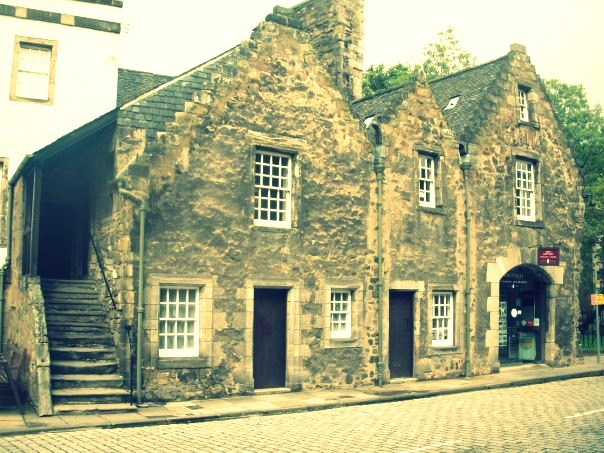 Perhaps I’ll own a quaint home on a cobblestoned street in Scotland. As a homeowner in a bad economy I want nothing more than to sell my fixer-upper in Atlanta and travel the world. When that finally happens It’ll be awhile before I take on that role again. However, the next time I do I hope that it’s in a land far, far away that’s steeped in history. Whether it’s in Scotland with an underground cellar that’s hundreds of years old or Italy with original frescoes adorning the wall, I want my next home to reflect history of its location. Nothing fuels this dream more than watching House Hunters International on HGTV. It’s a great way to see what you can get for your money in other countries. I’m always amused watching idealistic American’s as they search for new digs in places like Europe. They always seem to want the authentic experience of living in whatever country they’re exploring but are always disappointed when they realize that walk-in closets and full size refrigerators are non-existent. In exchange for those modern luxuries many homes have something much more valuable and that’s character. I’m reminded of one episode where a U.S. school teacher was searching for a vacation home on the shores of Italy. Every potential home she visited had unique qualities but one in particular actually had a door hidden in the floor that led to a nearby beach. Apparently, It was a way for residents to escape during war. One day I will have a place just as interesting. I don’t know where it’ll be yet but it will have a rich story and I’ll wonder each day about the people that lived there before me.